They have a mobile phone in their trouser pocket at all times, whether they are at home or with their friends. In an interview, three teenagers talk self-critically about smartphones and their excessive use of them – and about what they can do to combat this themselves. 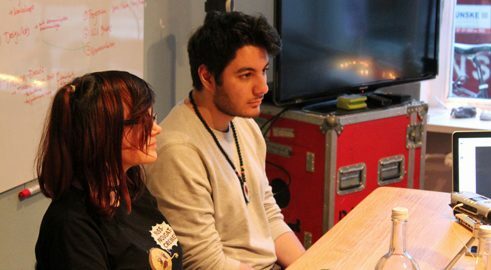 TINCON, an Internet congress hosted by teenagers for teenagers, was held in Berlin for the first time in 2016. 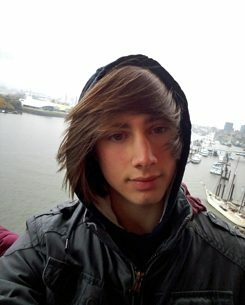 Charly (16), Kaan (17) and Ole (16) are among those who sit on TINCON’s advisory board. As they explain at the TINCON office in Berlin’s Kreuzberg district, what they appreciate about their work for the convention is the friendly and respectful way in which people treat one another. After all, this is not always the case online. Ole, Charly, Kaan, why is the tone on the Internet often so aggressive? Ole (born 2000), whose real name is Jan Ole Pieper, attends the Walddörfer district school in Hamburg. | Photo (detail): © Private Ole: That is something that has kind of evolved over time. Obviously it’s normal that friends tease one another a bit. It can sometimes get a bit extreme among classmates, however. Of course there are forums online in which we have very matter-of-fact discussions, but there are also forums in which people insult one another. Are adults better able to deal with aggression on the Internet? Kaan: No. Recently my father reacted angrily to a post in a forum. I asked him whether he really intended to send his response, as this is just how online arguments start. On the Internet, you should never reply to remarks that are intended merely to provoke. When people realize that nobody is reacting to their provocation, they stop because it’s no longer any fun. What advice would you generally give to adults? 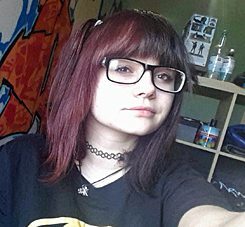 „Charly“ (born 2000) whose real name is Cheyenne Nepolsky, attends the Paula Fürst comprehensive school in Berlin. | Photo (detail): © Private Charly: Kids grow up with the Internet and learn not to immediately hate anyone who has a different opinion but instead to ask why they think the way they do. Adults don’t always understand that, and believe that they can write anything they like. In my view many adults need to learn how to show a basic level of tolerance on the Internet. How did you acquire this basic level of tolerance? Charly: We had to teach ourselves, and have learnt a number of other things too. Twelve-year-olds simply insult others without thinking. But then they learn not to, partly because other people on the Internet watch out and say: Why in fact are you doing that? Think about what you are posting. It takes some time, but young people sort it out pretty well. What do you use your smartphones for? Kaan: Before the Internet, it was not so easy to make or maintain contact with others. Now it is much easier to get to know people without even stepping outside. Ole: It’s not just communication, it’s everything: Youtube, reading or playing a game just to kill time. These days I’m never really bored any longer. There are enough series, films and games on the smartphone that you have with you at all times. How difficult do you find it to put your smartphone aside? Φωτ. (λεπτομέρεια): © προσωπικό αρχείο Kaan: When I wake up in the morning I glance at my phone: what time is it, how many people have contacted me, and has anything important happened? I also look at it whenever I have nothing to do. If I do have something to do, I put it aside. It would be strange to start using it now while we are talking. I would find that embarrassing. But as soon as we are finished, I will take a quick look at my phone. And why should I put my phone away? It fits perfectly in my pocket. Kaan: Yes, it is. The smartphone is the first step to becoming a cyborg. So much data about you is stored on it; it is a reflection of your life. It is like having an artificial third hand. That is also why some people get so angry when their smartphone is taken away from them. It is as if one of their hands were being removed. People are more dependent on their phones than they realize. Charly: I am only familiar with this desire to hold it in your hand all the time when it is new. After a little while, this particular “addiction” disappears. Personally, I think people should put their smartphones away from time to time. I have no problem doing so myself. Do you not find all these media too much? Ole: Not with my smartphone, but perhaps on the PC when I get really obsessed about something. I get frustrated whenever I want to programme something and it doesn’t work. Or when I am completely overwhelmed by the amount of information in a school project. Kaan: Smartphones and computers are sophisticated and well designed. There is a very high level of tolerance before things get too much for you. There is this thing called Phantom Vibration Syndrome – which is when you feel your smartphone vibrating even though it isn’t. That is when you notice it is all becoming too much. Charly: It would be a good thing to put it aside more often in general simply in order to discover one’s own limits. How do you train yourselves to take some time out? Charly: You need to withdraw a bit and impose a ban on yourself. You can also set an alarm so that you don’t spend longer than you want on the smartphone. Or you can create wallpaper for your screen that displays a message like “Don’t spend so much time on your phone”. Ole: If you feel that you cannot manage it on your own, you can ask your friends and family to draw your attention to it. When I am on my phone, I tell myself that it would be better to go out and do something with my friends rather than hanging around at home. Away from the digital and back into the analogue world. 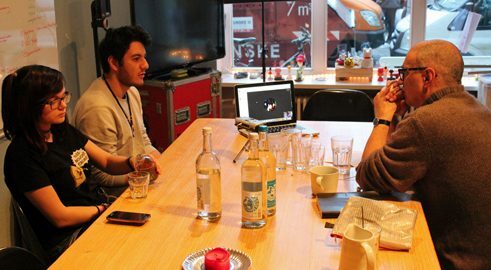 Charly and Kaan with Thomas Feibel at the Tincon Office | Photo (detail): © Tincon It is a well-known fact that you leave a data trail online that companies for example can exploit. How do you deal with that? Charly: I often notice that. For example, I might be googling a games console, and when I go onto eBay later I find ads for accessories and games. I then wonder how well they actually know me, and ask myself whether I should be more careful on the Internet. I don’t really like the fact that they know so much about me, but it isn’t all that important to me. But this can easily result in manipulation. Maybe you will only be given one-sided information. Charly: You can restore your freedom on the Internet with just a few clicks, so it’s not such a big deal. 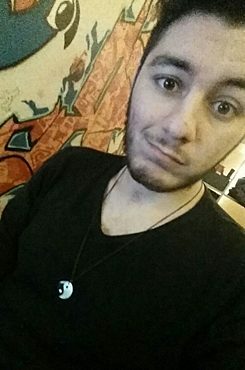 Kaan: Personally, it bothers me a lot. It is not you as a private individual who is being analysed, but your ID or IP. Yet this is a lot closer to us than we think. I find it creepy that they know what I want. I do not feel free when I get the impression that I am being judged. Ole: It is becoming more extreme all the time, and the algorithms are getting better and better because we supply them with information. Often we teenagers are not even aware of it. This is something that affects us, so we should also do something about it. How do you plan in future to teach your children to use the Internet sensibly? Charly and Kaan. Ole took part in the interview via Skype. | Photo (detail): © Tincon Ole: I wouldn’t let small children anywhere near the Internet. Later, they should be introduced to it step by step, but without it being banned. All the same, there should be certain times and boundaries. A child should only be given a smartphone once it understands its advantages and disadvantages, and also knows how much fun real life can be. Kaan: I would sit next to my child and keep an eye on him or her, but most importantly I would explain everything. I don’t think it is right to ban a child from doing something without justifying it. It is important to explain the reason because otherwise children won’t take it seriously. I would also show my child what the real world is all about. Having friends, going outside. As soon as you get outside you start experiencing things. A whole world awaits you outside. heads the office for children’s media. A journalist who specializes in new media, he co-initiated the Tommi children’s software award, among other things. Copyright: Text: Goethe-Institut, Thomas Feibel. This work is licensed under a Creative Commons Attribution – Share Alike 3.0 Germany license.